Barbara Bailey, BS, MS, PhD, Georgia State University. Sheri Beasley, BA, University of Phoenix; PhD, Trident University. Malcolm Beckett, MS, Capitol College; DBA, National Graduate School of Quality Management. Thomas Brantle, MS, University of Rhode Island; MA, Penn State University Park; PhD, Stevens Institute of Technology. Anthony A. Bullard, BS, MBA, Indiana Wesleyan University; DBA, Jones International University. Dominic Caraccilo, BS, U.S. Military Academy; Master of Engineering, Certificate of Manufacturing Engineering, Cornell University; MA, Cornell University; Certificate in System Design, Massachusetts Institute of Technology; MA, U.S. Naval War College; DBA, California Intercontinental University. Gregory L. Chase, BBA, Eastern Michigan University; MBA, University of Central Florida; PhD, Kent State University. Conna Condon, MBA, California State University, Dominguez Hills; DBA, Nova Southeastern University; PhD, University of Washington. Thomas DePaoli, BS, St. Joseph’s University; BS, University of Wisconsin—Green Bay; MNA, University of Notre Dame Graduate School of Business; PhD, California Coast University. Kathy Disney-Kanter, BS, Central Washington University; MBA, City University; PhD, Walden University. Eddie O. Dixon, BA, MBA, Wayne State University; MA, Garrett Seminary; EdD, Argosy University. Michael M. Einstein, BS, Union College; Certified Purchasing Manager, Institute for Supply Management; Certified Software Manager, Software Management Alliance; MBA, New York University Stern School of Business; DBA, Wilmington University. Timothy Gandee, BBA, MBA, Davenport University; DBA, Capella University. Richard H. Gayer, BS, Chaminade University of Honolulu; MPA, Pepperdine University; MBB, National University; PhD, Capella University. Roger Geronimo, BS, Central Connecticut State University; MBA, University of New Haven. Dahli Gray, BS, Eastern Oregon University; MBA, Portland State University; DBA, George Washington University. Alexander R. Hapka, BS, Manhattan College; MS, Stony Brook University; PhD, New York University. Annette M. Hebble, BA, Eisenhower College; MA, University of Virginia; MS, PhD, University of Houston. Nathan Heller, MBA, Brigham Young University; PhD, Arizona State University. 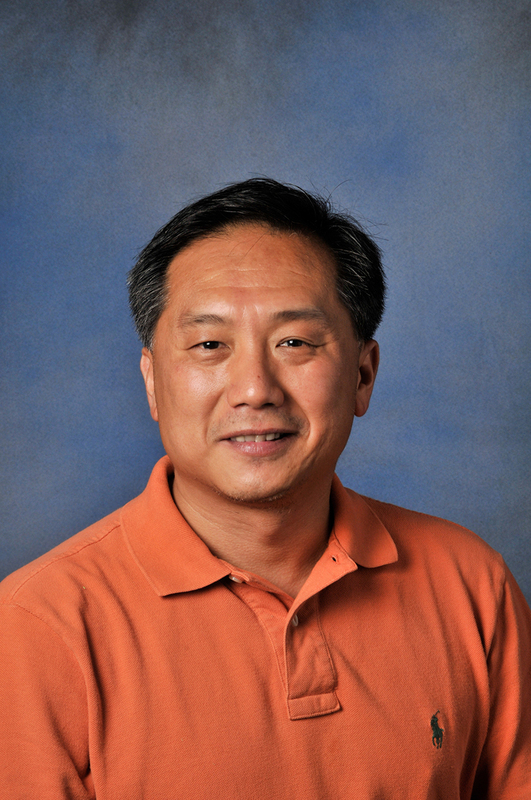 Bruce Huang, BS, University of Texas; MBA, University of Dallas; PhD, Northcentral University. Latanya Hughes, BS, Tuskegee University; MBA, Strayer University; PhD, Regent University. Rajasakeran Ignatius, MBA, University of New Brunswick; PhD, University of North Texas. Chineze Ilogu-Uwechue, BS, Valley City State University; MBA, West Chester University; DSL, Regent University. Pamela J. Legner, BA, Knox College; MST, DePaul University; DBA, Argosy University. Steven Maranville, BA, Brigham Young University; PhD, University of Utah. Tonitta D. McNeal, BS, Averett College; BA, University of North Carolina Greensboro; MS, Liberty University; PhD, Colorado Technical University. Sandra Mehalko, MBA, Frostburg State University; Doctor of Management, University of Maryland University College. David L. Morton, MA, University of Cincinnati; DBA, Nova Southeastern University. William J. O’Connor, BA, Brooklyn College; MBA, Syracuse University; DBA, Nova Southeastern University. Sunny O. Onyiri, BS, University of Louisiana at Lafayette; MS, Walsh College; PhD, Union Institute and University. Randell Orner, MBA, Trident University; PhD, Northcentral University. Leslie R. Pagliari, BS, MS, East Carolina University; PhD, Walden University. Patricia Parham, BA, Smith College; PhD, University of Texas at Austin. Alberto Roldan-Lopez, BS, Southern New Hampshire University; MBA, Southern New Hampshire University, PhD, Capella University. Filiep Samyn, MBA, The Royal Military Academy; DBA, University of Phoenix. James G. Skertich, BSBA, Indiana University; MA, MEd, University of Phoenix; DBA, Alliant International University. William A. Sodeman, BA, The College of William and Mary in Virginia; MBA, Roy E. Crummer Graduate School of Business, Rollins College; PhD, The University of Georgia. Thomas G. Spotts, BA, University of South Carolina; MA, Webster University; PhD, Walden University. Claire Starry, BA, University of Santa Clara; MA, PhD, University of Washington. Ralph F. Stauffer, BS, Regents College of the State of New York; MS, California State University. Ronald Tarlton, BBA, MBA, Wichita State University. Yvonne M. Thompson, BS, Norfolk State University; MBA, PhD, Southern California University. Alan Tillquist, BS, Hannibal-LaGrange College; MBA, Missouri State University; DBA, Nova Southeastern University. Stuart G. Towns, BS, Washington and Lee University; MS, North Carolina State University. Geoffrey VanderPal, MBA, Webster University; DBA, Nova Southeastern University. Lauren VanTalia, MBA, University of Phoenix; DBA, Argosy University—San Diego. Robert Vega, MA, University of Redlands; PhD, University of Phoenix. Steven Verrone, AAS, Community College of the Air Force; BS, University of Phoenix; MBA, Baker College: Center for Graduate Studies; DBA, California Southern University. Padma Viswanathan, MBA, Case Western Reserve University; PhD, Nova Southeastern University. Cynthia Waisner, BS, MBA, Case Western Reserve University; PhD, Antioch University. Stanley Warrick, BS, United States Military Academy; MS, Lake Forest Graduate School of Management; JD, University of Arkansas. John Weber, BA, Temple University; MBA, La Salle University; PhD, Capella University. Penny Wilkins, BA, MA, DM, University of Phoenix. Jong H. Yi, BA, MA, University of Chicago; PhD, University of Southern California.